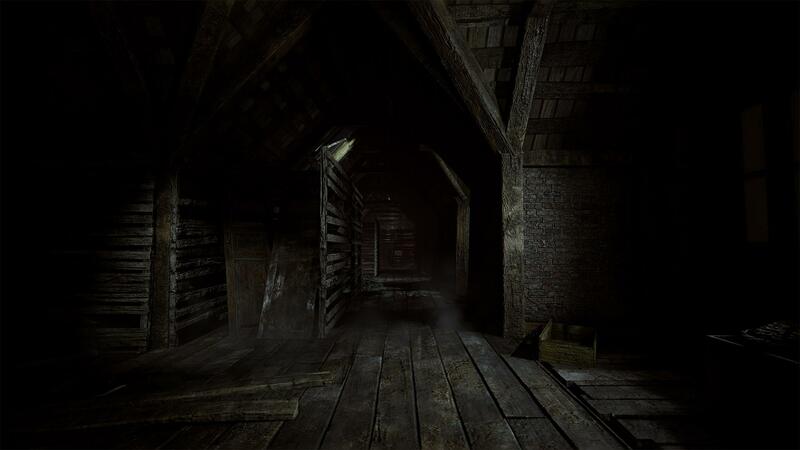 Silver Chains is a new first person horror game developed by ‘Cracked Heads Games‘ and published by ‘Headup‘. It is rumoured to be coming out in the second quarter of 2019 on the Xbox One, Nintendo Switch, PS4 and PC. We can expect some spooky atmosphere in this one. The story in Silver Chains is a bit mysterious. Players control a guy called Peter. He was driving but somehow hit a tree (take away his license) during a stormy night. He then wakes up inside a mansion. No, not Luigi’s Mansion. An abandoned mansion. This all takes place in England… rural area. Peter doesn’t remember what happened and definitely doesn’t know how he got in here. Off course it wouldn’t be a horror game if there wasn’t something going on. Peter quickly learns that he’s not alone in this mansion. So off course the aim of Silver Chains is to get out of the mansion. While doing this you quickly start to learn that this mansion has some secrets… dark secrets. Some messed up things happened here. It gets worse. He also learns that this isn’t his first time in this place. So instead of being wise and escaping the place and forgetting he’s ever been there like CoryxKenshin. Peter instead acts like he’s Mystery inc and searches for clues and wants to figure out what happened here. Gamers can expect puzzles in Silver Chains. There will be multiple ones around the mansion. Remember that since it’s a mansion it’s going to be a large area, with many rooms, places and even hidden areas. It’s clear that Siulbver Chains has lots of emphasis on exploration and off course the story. 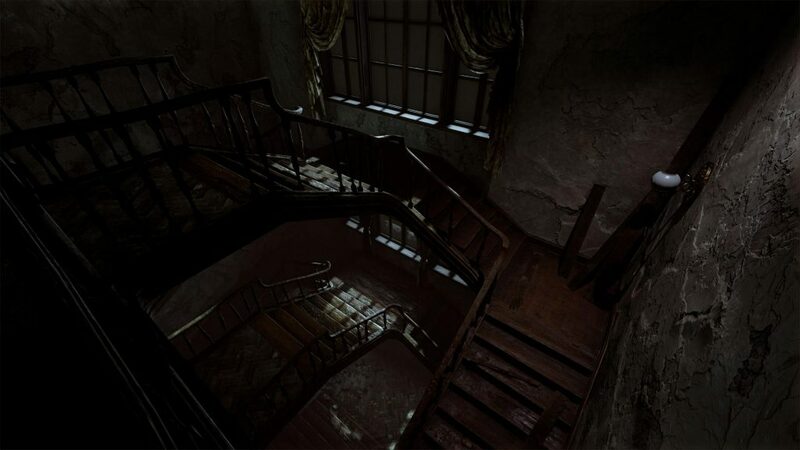 Players will need to explore the whole mansion, find items, find clues, read notes and all that horror game stuff. Expect back tracking as well since not everything can be done when you see it. Yes, like Visage, Silver Chains is all abut that atmospheric horror. A lot of work and effort has gone into the graphics. The developers wanted photorealistic details and graphics. So make sure to look around in the mansion (when you should have ran away a long time ago). A good horror game will also have the appropriate music. Expect Silver Chains to have some music that has been described as “eerie”. Now what kind of horror game would Silver Chains be without some form of danger. There is danger and it’s not in plain site. The danger lurks in the shadows. This danger though isn’t something you can fight. Players must either have a good hiding spot or run (maybe you shouldn’t have skipped P.E in school). This monsters is will coming for you and won’t stop so solve puzzles, explore and hide while it’s on your trail. We checked out some gameplay. 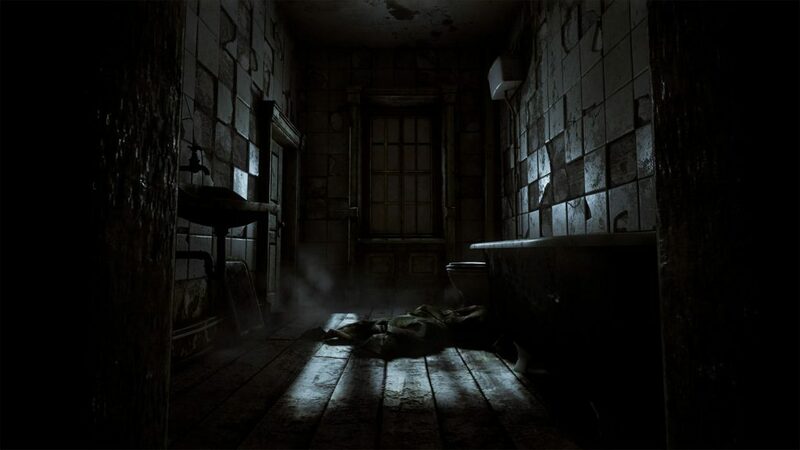 So far it definitely gives a familiar vibe that other horror games have given. The question is whether Silver Chains does what it’s trying to do better than the others. The details are there, the setting is there, the mystery is quite typical but works. The main factors will be how the monster and dangers work. Will it get tiresome, will layers get use to it? The difficulty of the puzzles? Many factors but it’s still early and gamers will just have to wait and see. Pikmin was a game from X35 Earthwalker’s childhood. It was the game that he so loved and adored. It was a game that set the standards for other games. This game was most likely the first game he had for the GameCube. Pikmin was a classed as a real time strategy (RTS) game that was released in 2001 on the Nintendo Gamecube. In this game you controlled captain Olimar, an alien who crash lands on a strange planet. He encounters small, cute but unique creatures called ‘Pikmin’. These guys can’t really do anything by themselves but when they are in groups, that’s when they become one of the most powerful things on the planet. You crashed landed because an asteroid struck your ship, sending your ship on a crash collision course. Even worse, your ship started to break apart. Parts of your ship landed in different places on the planet. Olimar can’t get the pieces as they are big and heavy and in locations that he can’t reach. Even worse is that the atmosphere of the planet is toxic for him. His life support system has enough to keep him alive for 30 days! Captain Olimar soon discovers that Pikmin can fight other creatures, carry objects, break down walls, build bridges and more. So can he find the ship parts, repair his ship and get off the planet with the help of the Pikmin in 30 days? That’s the question. Pikmin has 5 different areas for Olimar to explore: Impact site, Forest of Hope, Forest Naval, Distant Spring and Final trial. Each area is very different and has their own fun points and annoying points. The impact site is where you crashed landed on the planet (We are sure you figured that out). Here the area is designed to teach the player the basics of using Pikmin and what they can do. In the very first day, nothing can kill you but after the first night, enemies will occupy the area. Forest of Hope is where the action truly starts. There are many parts to Olimar’s ship here. Also there are little larve like enemies here, Bulborbs which are the famous giant two legged creatures with large mouths to eat you and your Pikmins, armoured beetle which is really mean and long neck bird head creatures who have quite the peck. Forest naval got it’s name because according to Captain Olimar, it looks like a belly button from high altitude. This level is X35 Earthwalker’s least favourite but is the most different and has a lot going on in this level from bugs dragging around a ship part to fire geysers shooting out fire. Things get serious in this area. Distant Spring many would consider to be the hardest area as it has everything from the other areas in it from solid walls and lots of water to numerous enemies and tricky puzzles. Matter of fact Distant spring has stronger versions of previous enemies there. The final area is the one that no one will ever forget. It’s the level that all players of Pikmin have learnt to fear. It’s ‘Final trial’. This area isn’t like the others. There aren’t multiple areas to explore and many pieces of the ship to find. There is just one piece and just two sections. This area tests what you know about Pikmin and how to use them. Straight away the level splits into three paths. 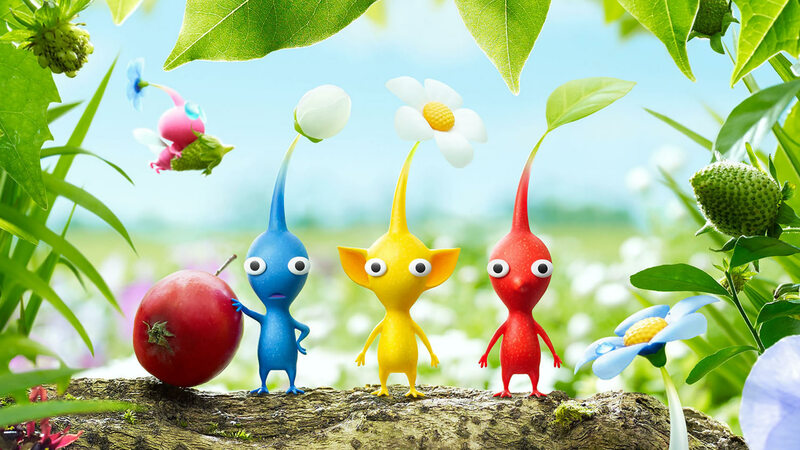 The left is more for red Pikmin, the middle is more for blue Pikmin while the right is more for yellow Pikmin. After you cross the small lake like area, you then come to an arena where the thing that shall not be named… fine… the ‘Emperor Bulblax’ is just chilling. You see what looks like plants in the ground but that’s actually antennae like things from it’s back. It’s underground. This is the official final boss of the game and it’s a fight indeed. The emperor has lots of health and is capable killing your entire army if you aren’t careful. It uses it’s sticky tongue to grab and eat Pikmin and later on can jump high to crush Pikmin to death and shake them off. The secret make the emperor swallow ‘bomb rocks’ which will do nice damage and stun the enemy for a good while. In Pikmin 1 there were three types of Pikmin: Red, Yellow and blue. Red were the strongest and did the most damage to enemies, making them best for combat. They also have the ability to withstand fire, so fire geysers have nothing on these guys. Yellow are probably the lightest of the Pikmin as they can be thrown to much higher places. Also, they have the ability to pick up and throw bomb rocks, meaning that no wall can stand in the way of the yellows. Blue has the unique ability to go through water. That’s right. They won’t drown, meaning they can reach multiple areas and parts that other Pikmin just can’t go. Also each of the Pikmin types have different physical features. Red has a nose, Yellow has ears and Blue has a mouth. This is interesting though. Also Pikmin have 1 of 3 things on their heads: leaf, bud or flower. Leaf Pikmin are the weakest and the slowest while flower Pikmin are the strongest and fastest. There are two ways to create flower Pikmin. First is when a new Pikmin is made and it’s in the ground, leave them there and over time they will turn into flower Pikmin. The second is to have them drink nectar which instantly turns them into flower Pikmin. Nectar isn’t as rare as people think. You can find them in grass, pebbles, dropped by a rare beetle creature or flying ghost things. X35 Earthwalker was one of those who completed the game way before 30 days. You get a different endings depending on how fast you complete the game: early, on time and ran out of time. Now there were two sequels to the game and we loved them also. The third was our least favourite, the second was the best in terms of gameplay and features but the first holds a special place in X35 Earthwalker’s heart. In the second one, the whole idea of controlling Captain Olimar and Louie was excellent. We might write about that game another time though. X35 Earthwalker when he was younger actually got attached to the Pikmin. There was once a time where when searching for parts he made some mistakes and got a quite a bit of his Pikmin eaten. He ended up crying but then later came back with pure rage, vengeance and an army of 100 red Pikmin with the sole purpose of killing that monster. He did and it made him feel a lot better. We remember going through the levels and seeing everything for the first time, wondering how to solve certain puzzles and reach certain parts. It was exciting seeing the ship slowly get built back together and then reaching new areas. Or chasing those flying ghost looking things that have the nectar. Pikmin are so useful and can do many things. This game isn’t that difficult and we strongly believe that within two play throughs of the game, almost any player can beat the game within 30 in game days. The main skill you need when playing this game is multitasking. You have to have one Pikmin squad collecting and carrying pellets or dead creatures bodies back to the onions to build your numbers. Another group that can be breaking down walls, building bridges or pushing large objects out of the way. While another group goes with you hunting for ship parts and exploring. The player has to manage all these things and know when to do that. You must manage your time properly as you don’t have that much time in a day so what will you do and how will you do it. Will that take too long? Is there a faster way? Should I use one whole day just for increasing Pikmin numbers and upgrading them to flowers? That’s up to you. Lastly, never leave your Pikmin alone at night. Any Pikmin left alone after the countdown reaches 0 will be automatically hunted down and eaten by monsters. Nothing will survive the night. Either keep them right near their onion or keep them with you and they will be safe. This is one of those games that you must play and try if you get the chance. The developers ‘Nintendo EAD’ created an awesome game that will be with us always. Whether you know the game or not… never forget to do the ‘Earth Walk’!